With multiple different facets, Discover the Ride aims to be an experiential component to the International Motorcycle Show tour aimed toward getting non-riders interested in motorcycling. 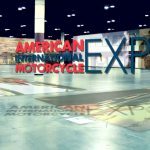 Santa Monica, CA (November 8, 2018) – The Progressive® International Motorcycle Shows® (IMS), the industry leader for connecting powersports’ top brands with enthusiasts and buyers, today announced its newest show feature, Discover the Ride, a forward-thinking initiative that serves the entire motorsports industry. While IMS always has great displays and content for seasoned enthusiasts, Discover the Ride is specifically designed to introduce riding to those interested in riding motorcycles. In addition to inviting its loyal community of nearly 300,000 motorcycle riders across the country to enjoy the show, attendees can help spread the thrill of two-wheels with their friends and family through Discover the Ride, the approachable motorcycling experience designed for non-riders.Discover the Ride will feature five main attractions including an indoor electric motorcycle demo course, an area for children to experience two wheels, a wheelie machine for experienced riders to test their skills, stationary motorcycles to learn how to engage the clutch and shift gears, and an educational content series called New To 2, designed to help new riders navigate the world of motorcycling through videos and live presentations at the show. The debut for Discover the Ride is at IMS Long Beach, which takes place November 16-18, 2018 at the Long Beach Convention Center. IMS teamed up with industry veteran Robert Pandya to bring Discover the Ride to life, partnering with leading companies such as Zero Motorcycles and Stacyc to help inspire new riders through creating easily approachable programs. Discover the Ride will be unveiled at IMS Long Beach Media Day, which will take place on Friday, November 16, 2018. To register as media for IMS Long Beach please visit this link. New Rider Course in Partnership with Zero Motorcycles – The New Rider Course will give non-licensed IMS attendees the opportunity to ride a motorcycle for the first time and learn riding basics from expert instructors. This is the largest portion of Discover the Ride, which is made possible thanks to Zero Motorcycles, the electric motorcycle leader, that has leveraged their advanced battery management systems to speed govern motorcycles that would otherwise only be available to riders with M1 Motorcycle licenses. The indoor demo course will host a fleet of speed-limited electric Zero Motorcycles to give participants the experience of riding a motorcycle in a safe and controlled environment. Zero Motorcycles have no transmission, feature ABS as standard equipment, and its zero emissions make an indoor experience on one of the most advanced motorcycles in the world a possibility. In addition to Zero Motorcycles, IMS has also partnered with Yamaha to feature its power assisted bicycles at Discover the Ride, which will be used for participants to show the ability to balance prior to riding the Zero Motorcycle, and also be available to demo on the enclosed track. 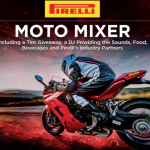 Instructors from Total Control Training will be on hand at each show to give instruction and guidance and gear will be provided by Cycle Gear, Shark Helmets, HJC and Shoei. Kids Zone Presented by Allstate – The Kids Zone joins Discover the Ride in partnership with Stacyc, featuring a closed course of battery assisted balance bikes for children to experience riding for the first time, which is the ideal way to introduce riding to kids as young as two. Participants will have the option to ride the balance bikes with or without the addition of a speed limited electric motor depending on their skill. XDL Wheelie Experience – This exciting feature is for riders who want to test their wheelie skills in a controlled environment, while improving their balance and throttle skills with the help of XDL stunt pros. It also provides riders the opportunity to experience the exhilarating torque of Zero Motorcycles that have not been governed to reduce power for the New Rider Course. The XDL Wheelie Experience is a motorcycle attached to a stand in a manner that allows wheelies without forward movement; it’s fun to watch and more fun to try. New To 2 – This new series of online videos is matched with a series of live presentations at IMS, educating new riders on the world of motorcycling. New To 2 videos and live presentations at the show are hosted by Monique Filips and Jordan Diggs, as well as surprise guests in certain markets. Dyno Experience – This feature gives IMS attendees the opportunity to get on a real motorcycle that is securely mounted to a dyno to experience starting a motorcycle up, engaging the clutch and shifting through the gears, while feeling the torque of the motorcycle with the guidance of an expert. Ducati, Harley-Davidson and Yamaha will host dyno’s at IMS Long Beach. “Every brand in the industry is working to bring new riders into motorcycling. 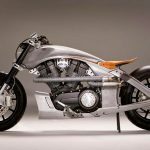 We see the International Motorcycle Shows as the leading opportunity to expose new riders across the country, alongside the great OEM programs and displays,” Harris said. 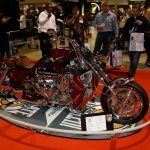 To learn more about the Progressive® International Motorcycle Shows® Tour, please visit: motorcycleshows.com.